Thanks so much for all the support and love I've received over the past month after the birth of my beautiful new baby boy. (See pictures here.) It's been a really great month and I've loved having a new baby in my house and have enjoyed being home on maternity leave! 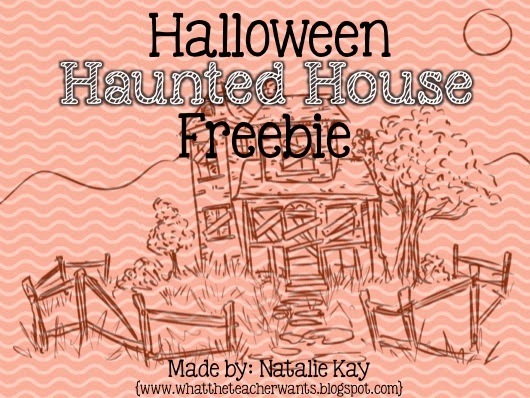 Today I have a fun little freebie for you! It was inspired by my husband who is a very talented artist. The other day he drew an awesome picture of a haunted house and I immediately knew that I wanted to turn it into some kind of school project. 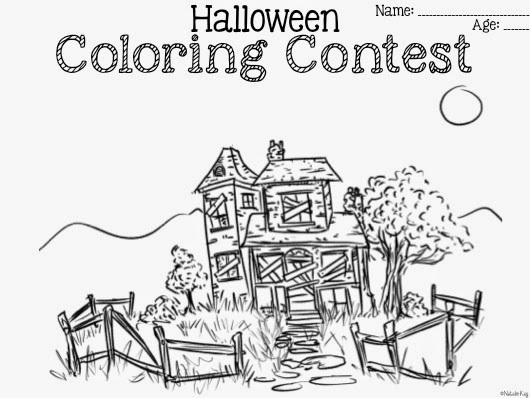 I created two Halloween activities: the first one is a simple coloring page and the second one is a Haunted House writing prompt. I made multiple versions of each activity so it can be easily used in any K-6 classroom! The coloring pages can be used by itself or as a coloring contest page. 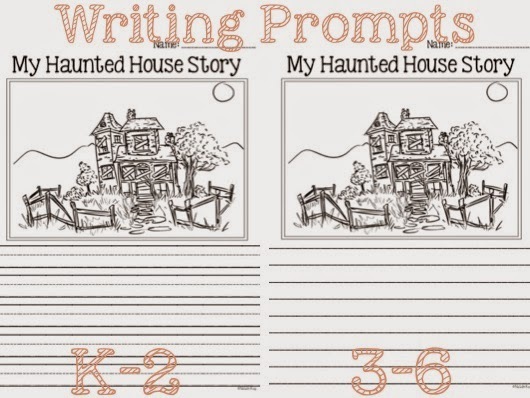 You can use the writing prompt pages to let students color and add details to the picture or use the blank one so students can draw their own haunted house and then write about it. I know how crazy Halloween can be as a teacher, but I hope you all have a great day at school tomorrow! Because I'm still on maternity leave, this will be my first Halloween in 9 years that I won't be at my school for the annual costume parade and Halloween party. However, I have volunteered to help at my older son's preschool party so it looks like I'll still get to participate in some of the fun.